Rescuers had to contend with an abusive drunk casualty who was found near England’s third-highest mountain in a night-time operation. 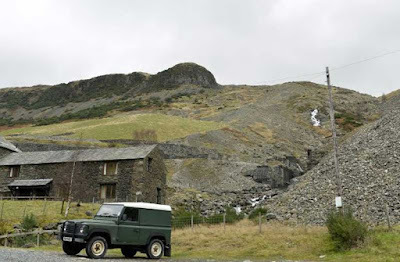 Emergency services and rescue teams spent five hours saving the drunk man who had fallen down a mine - only to be abused as they rescued him. 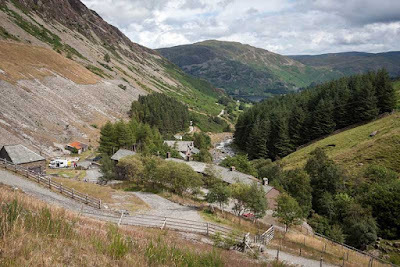 Three mountain rescue teams (MRT), six Lake District Mountain Rescue Search dogs, police, ambulance service and HM Coastguard helicopter were called out in the middle of the night to reports that a man had gone missing at Greenside Mines, near Helvellyn. The complex rescue probably cost tens of thousands of pounds and the volunteer MRT members spent hours helping him. But in return, the 32-year-old man from the north east, whose identity is not known, verbally abused the team members, paramedics and the Coastguard helicopter crew who flew him in poor weather conditions to hospital with suspected spinal injuries. Mike Blakey, team leader of Patterdale MRT, said: "It went from I love everybody to I hate everybody and I want to fight." The rescue teams had to put up with the man's abuse for an hour as they waited for the HM Coastguard helicopter. He said he'd drunk 15 pints and "lots of vodka". Mr Blakey thought the rescued man might get in touch after the rescue on Saturday, but so far he hasn't. “This callout came in the middle of the night, disturbing the sleep of the team members who are all volunteers and give their time freely. It is disheartening to report that the man was abusive to team members, paramedics and the Coastguard helicopter crew that flew him, in poor weather conditions, to James Cook Hospital, Middlesbrough,” he added. Police called Patterdale MRT at 3am after friends reported the man missing. The team called in additional help from five mountain rescue search dogs, Penrith MRT, and Keswick MRT to provide a group of swift water technicians. Search dog Corrie and handler Andy Peacock found him sleeping at about 5am. Teams think he had fallen off a 10ft high wall then somehow fallen another 8-10ft into disused mine workings. He was treated for neck, back and pelvic injuries and a rope system was set up to evacuate him on a stretcher. It was later discovered that he did not have a serious spinal injury but four hairline fractures. Mr Blakey said: "We're not normally critical of anybody, it's just with this one I don't think they realised the implications in terms of cost but also the 23 people who came out to him were volunteers."